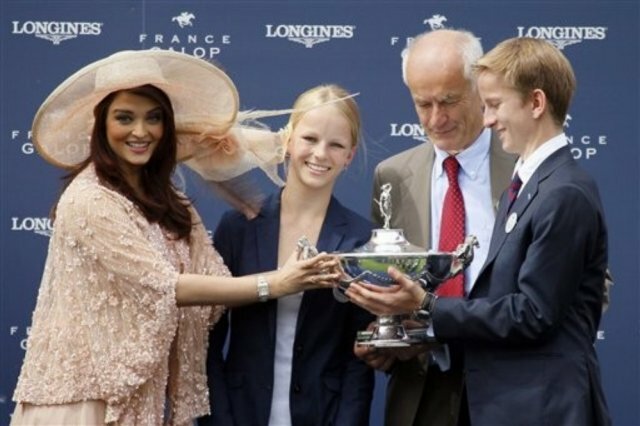 Indian actress and Miss World 1994 Aishwarya Rai is expecting her first child with husband Abhishek Bachchan. Her father in law, Amtihab Bachchan, tweeted: "I'm going to be a grandfather! Aishwarya is expecting a baby". 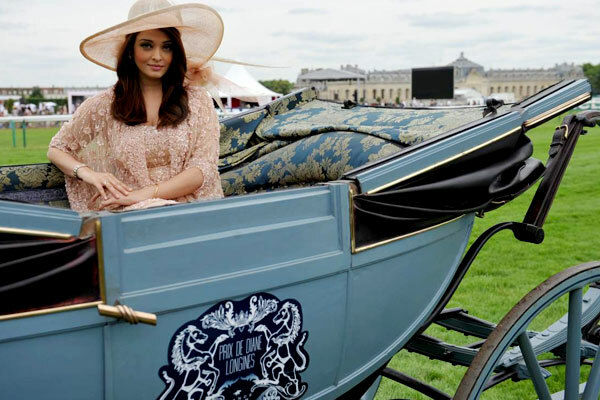 The baby will be the first one for Aishwarya Rai (37) and Abhishek Bachchan (35). 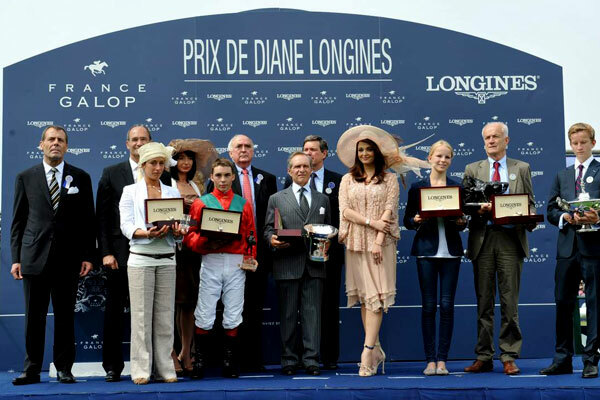 Here are some of the beautiful photos of Aishwarya Rai at the 162nd Prix de Diane Longines horse racing event as the brand ambassador of Longines in Chantilly, north of Paris.